That was a line that was said to me by a man named Simon, who won the past year’s Entrepreneurship Challenge, an event created by Spence Diamonds and Not For Sale to invest in refugee-started enterprises. This man had nothing but an idea, and he went with it. He worked hard, created his own business and won the Entrepreneurship Challenge — which helped his business increase production, thereby increasing profit. When he said that line to me, “we thought we were forgotten”, it not only shattered my heart but it also made me realize … We haven’t forgot about them, we forgot how to be human enough to do something about it. When I was chosen to go on this experience, I was scared because I have been sheltered my whole life and I have never seen THIS kind of struggle and didn’t know how it would affect me. My trip to Uganda for the 2019 Entrepreneurship Challenge was only three days after my wedding, and my son and husband would have to stay behind. This was hard, and I missed them, but I needed this. How could I truly teach my son about the world if I hadn’t seen it? The time I spent in Uganda with the Not For Sale team and Spence Diamonds team taught me a lot. The people I met in Uganda, the children at the schools and the contestants in the challenge made such an impact on my life. There are over 1.4 million refugees in Uganda. These people are faced with trauma, and struggle on a daily basis. Their most basic needs are almost impossible to meet due to lack of supply or funds. There were so many people walking miles with water jugs just for water. 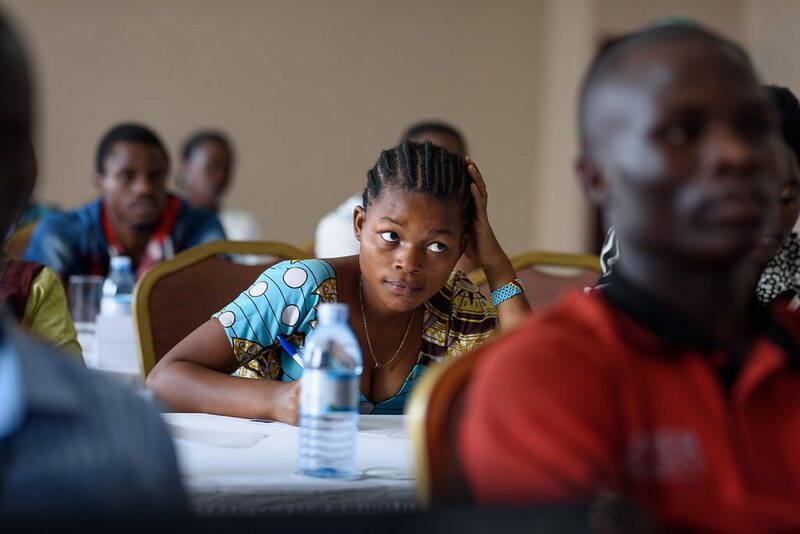 The contestants at the Entrepreneurship Challenge all had such amazing stories of how they changed their lives, how they worked hard to better the lives of their family, and how they learned a skill to better themselves. They had such incredible and heart-breaking stories of their pasts, things that have happened to them that I could never imagine. They saw an idea, or they learned a skill which allowed them to start a business. They tried so hard to make anything work to make money — and they had success. These stories are real-life, real heartache stories, that make you realize how strong people truly are. The faces on the winners of this year’s challenge will forever be imbedded in my heart. They hugged us and shared their joy, and this was a beautiful moment. This was the face of Hope and Opportunity. When we met the children at the schools that Not For Sale and Spence Diamonds support, and the children sang to us, I cried — each time. These children were welcoming and loving. They were so excited to show us their school and learn about us, who we are and where we came from. The children wrote a poem about how grateful they are for the water well we built, and it broke us all into tears. Before the well, they had to walk for 3 hours just to get water to drink and wash with. Three hours … little children, and teachers. It’s upsetting. It’s heartbreaking but it’s real. When I saw their faces and how Spence Diamonds and Not for Sale is actually helping, I wanted to share this story. Spence Diamonds is donating a portion of the revenue from every artisan-created diamond to Not For Sale to help these children. I saw this, and this is real. I have never been more proud to represent a company and foundation that not only gives back but empowers others to succeed on their own. The world has not forgotten about Uganda’s refugees, and I will share their story. Last December, a rock musician named Toon in Thailand announced that he was raising money for public healthcare, undertaking a 1,300 mile run over 55 days to gain interest in the cause. Toon asked every Thai person to give 10 baht (about a quarter) which, when pooled together, would be more than enough to meet his goal. 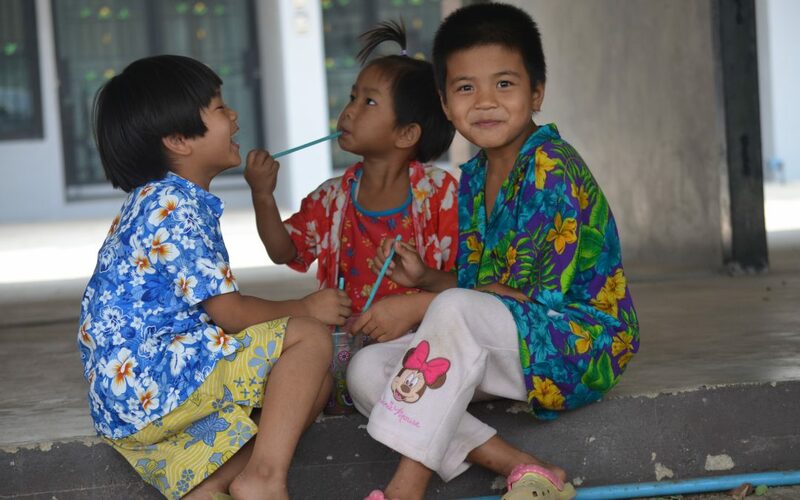 The children of Not For Sale Thailand were inspired to help Toon reach his goal, and starting scraping together coins to donate. They realized that their collection was meager, so they decided to go to the local market and ask for donations toward Toon’s cause. Their hard work paid off and their donation of around $3 turned into over $500! Kru Nam, Not For Sale Thailand director, was excited to see the dedication the children had, even as they themselves had little to give. Because the children had been helped by others, they felt the duty to also be in service of others. The gift of giving inspired the children to themselves be givers, to those who need help. Toon’s goal was to raise $20 million. He raised $33 million. If you’re inspired by this story like we are, help us tell another story of generosity, hope, and change by giving to Not For Sale this holiday season. Will you inspire by joining the cycle of generosity? Visit our Holiday Giving Campaign. 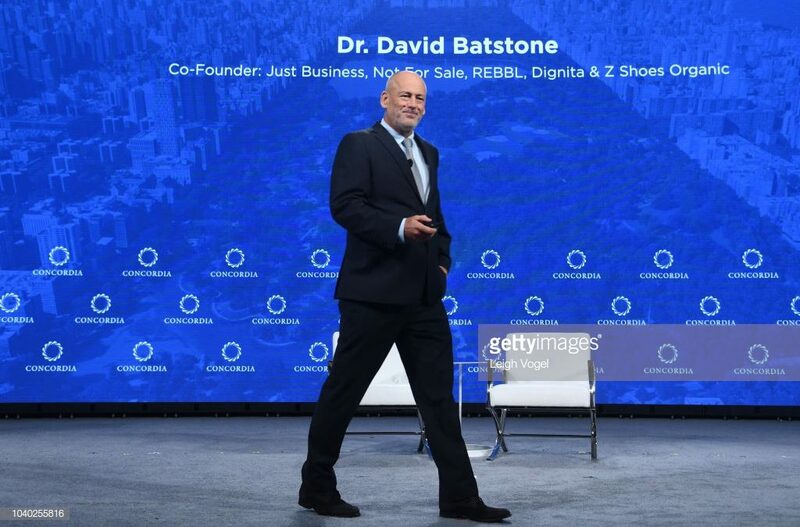 From establishing his own non-profit in El Salvador, to being a venture capitalist in Silicon Valley, teaching at the University of San Francisco, creating global charity ‘Not For Sale’ and social enterprises Z Shoes and Rebbl, David Batstone has done it all. But no matter where he has gone, success has followed. Why? 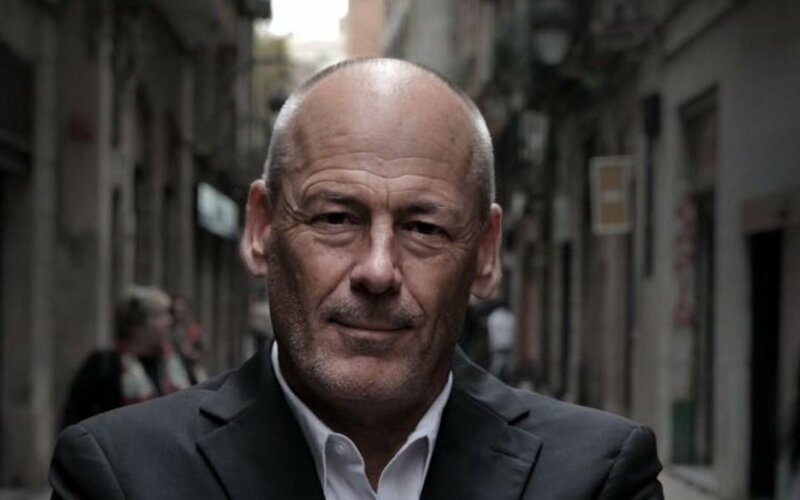 Batstone believes it’s his acceptance of failure and constant desire to learn. But we wanted to delve a little deeper. So we asked him to complete the Red Bull Wingfinder test. Here’s what we discovered. With confidence you have the self-belief to take the lead, try new things and meet challenges head-on. And that’s exactly what Batstone has done throughout his long and varied career. After starting a non-profit in conflict-ridden El Salvador in the 1980s, he became a tech journalist, before switching again to a venture capital firm in Silicon Valley. A few years there gave him the business acumen to co-found Business 2.0 magazine. But then, just as that adventure began to take off, Batstone read an article on human trafficking and felt compelled to take action. He downed tools to travel the world and investigate. Five years later, Batstone has created ‘Not For Sale’, and is changing lives in Thailand, Peru and Romania by providing housing for those in need. His life has been defined by self-belief, so it’s no surprise that Red Bull Wingfinder has highly confident as one of his main strengths. And Batstone’s approach to failure is what truly solidifies that. Beverage Brands Continuously Roll Out New Campaigns to Coincide with Sports and Holidays. REBBL launched a new integrated marketing campaign titled What’s Your Elixir? 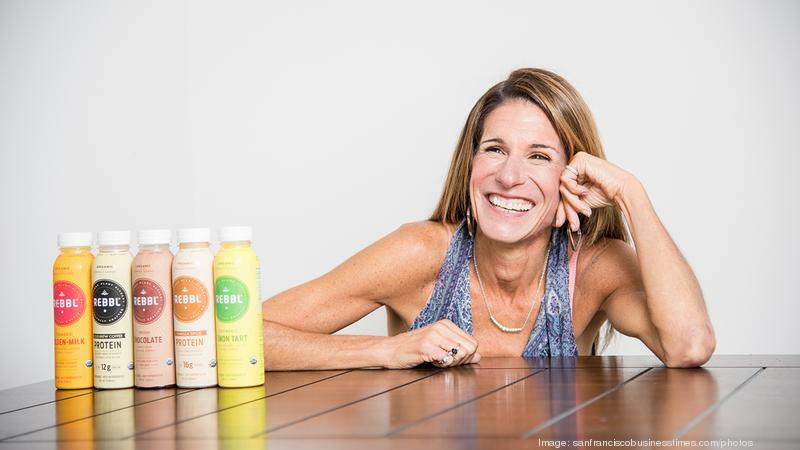 that connects consumers to the transformational power of super herbs and adaptogens, the company says. 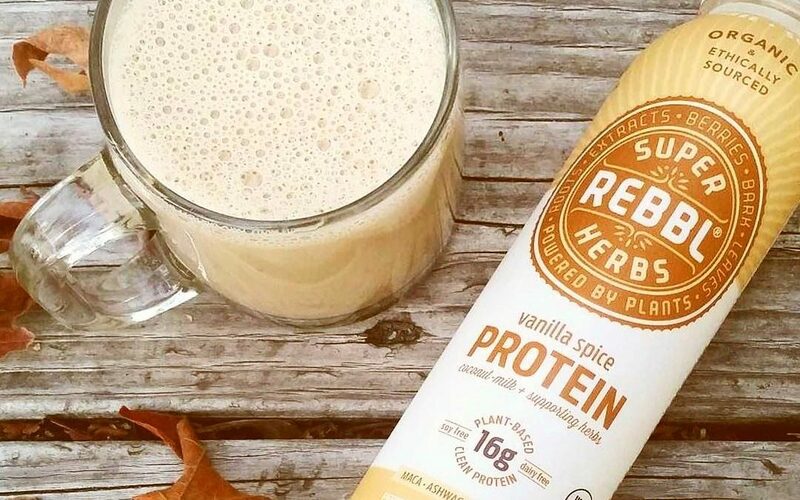 As the brand continues to expand into targeted conventional retail stores across the country, the new campaign aims to reach a wider audience, allow REBBL to get to know its REBBL community on a deeper level and help consumers better understand how super herbs benefit the body, it adds. The campaign features multiple waves. The first wave focused on the taste and packaging design of each of the company’s 14 offerings. The second wave introduced consumers to the functional benefits of REBBL’s products. 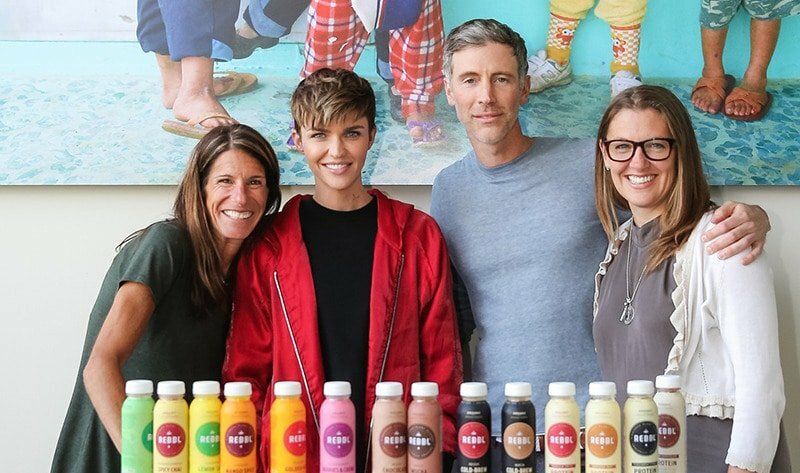 Lastly, as the campaign progresses, REBBL’s messaging will strive to educate consumers about the larger impact story that is at the company’s core, it says. Zak Batstone is looking to change the world through sustainable footwear company Z Shoes. We take a look at his Red Bull Wingfinder results to see which traits helped to create a successful start-up. There aren’t many 25-year-olds who can say they’ve started their own successful business and even fewer that are actively helping the world at the same time. At an age where most of us were still having fun and finding our feet in the world, Zak Batstone co-founded organic footwear company Z Shoes. Along with his father, David, Batstone created Z Shoes to offer an organic option when it comes to footwear. His shoes are produced from organic cotton and rubber sourced from indigenous communities in Peru, with rubber extracted from trees using a sustainable process that enables the tree to continue to grow and supply more rubber to the surrounding communities. With a fair wage paid to all the people involved in the creation and manufacturing process, Z Shoes offers something you can truly feel good about wearing, and it’s little surprise to see that innovation is one of the driving forces behind Batstone’s personality. We are proud to contribute to the cause of Not For Sale. Not For Sale is a network to grow self-sustaining social projects with purpose-driven business to end exploitation and forced labor. Because slavery is alive and thriving. It’s about giving people trapped in exploitation an alternative in life by providing shelter, life skills and offering education. Through projects in 4 countries and more than 600 supply chain grades available for consumers and brands alike, Not For Sale is creating a world where no one is for sale. Cheers to that! Not for Sale Ale started in Sweden and contacted our brewery for their craft ale. 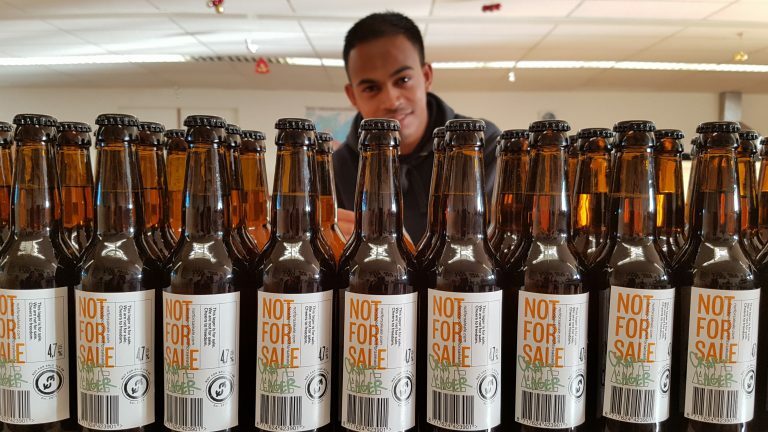 Not For Sale Ale – Craft Lager is not just another beer! By channelling 100% of profit to fight human trafficking its unique in the world. Not For Sale Ale – Craft Lager – brewed by Brouwerij de Molen is an enjoyable hazy blond beauty of 4.7%. Citrus and fruity aromas dominate the nose of this beer that was late- and dry hopped with premiant and cascade hops. The qualities of these hops give floral and light sweet herbal tones in the taste. An ideal companion for spicy food as well as a very enjoyable weeknight lager.